Highlife Musician Anthony Akablay has accused Shatta Wale of having a bad influence on the youth. There is no doubt that Shatta Wale is one of the biggest musicians in Ghana and with a huge fanbase that is completely loyal and will do almost anything he says. That notwithstanding, Akablay is of the view that he doesn’t impact the youth in a positive way. “With his large fan base I don’t expect Shatta Wale to use certain words and engage in indecent acts. I know he has the largest fan base in Ghana at the moment but what impact is he making on them? The youth are engaged in all sorts of bad activities because they see him as their role model and blindly copy what he does,” he told Showbiz in an interview on Saturday, April 13. According to Akablay, because Shatta Wale has a lot of influence on the youth, he can push them to using their energies and time positively. When asked if he would ever collaborate with Shatta Wale, Akablay said it will not be possible because they have different brands. Akablay also bemoaned that he is not happy with the new crop of musicians because in his opinion they are not disciplined when it comes to the music business. “Most of these young musicians are so indisciplined which gets me upset. You give them time for a meeting and they come at their own time. Others do not even regard their managers because they believe they are more famous than their managers. I have been talking to some of them and I pray they change,” he noted. 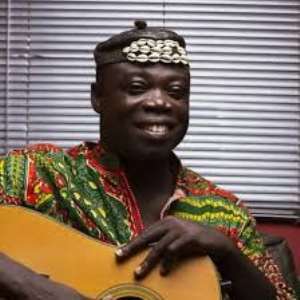 Talking about profanity in music, Akablay, who is known for songs like Genesis of Life, Edoke, Taking Away, Life in The Pot just to mention a few, said he cannot understand why so many profane words are being used in music lately. “I don’t allow my children to listen to particular songs when I am around. The other time my son asked me the meaning of Kwabena Kwabena’s Tokro Abodwese and I didn’t know what to tell him. I called Kwabena Kwabena on the phone and asked him what he meant by that because my son wanted to know and he could not explain,” he said. Akablay further on noted that musicians have a powerful tool to make an impact and it’s about time GH artistes took into consideration their choice of words. For his exploits on the guitar, he was adjudged the Vodafone Ghana Music Awards Best Instrumentalist in 2009. He won the Best Guitar Player trophy at the 2014 Best Instrumentalists of Africa Festival in Cotonou.